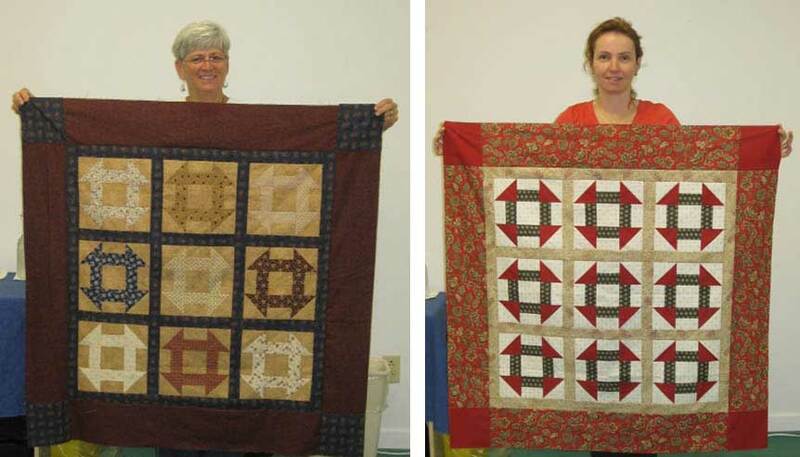 This week, my Beginning Quilting students showed off completed quilt tops. Aren't they doing an amazing job? The time just flies when we are in class. Left: Lots of gorgeous batiks in this one. A contrasting border sets off the blocks. 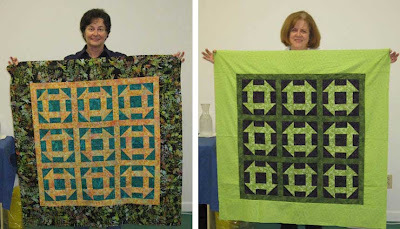 Right: Chartreuse and purple combo--a yummy color scheme. 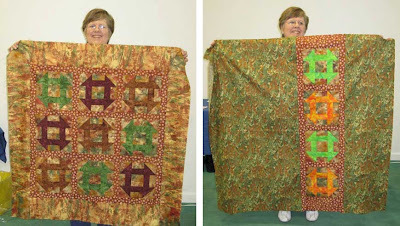 Left: Why use one fabric, when you can go scrappy? Right: Changing the fabrics in the block makes an attractive design variation. Left: Excellent contrast in this fabric selection. Right: A soft spring garden color palette with contrasting stripe border. Left: The colors of fall leaves inspired this color scheme. 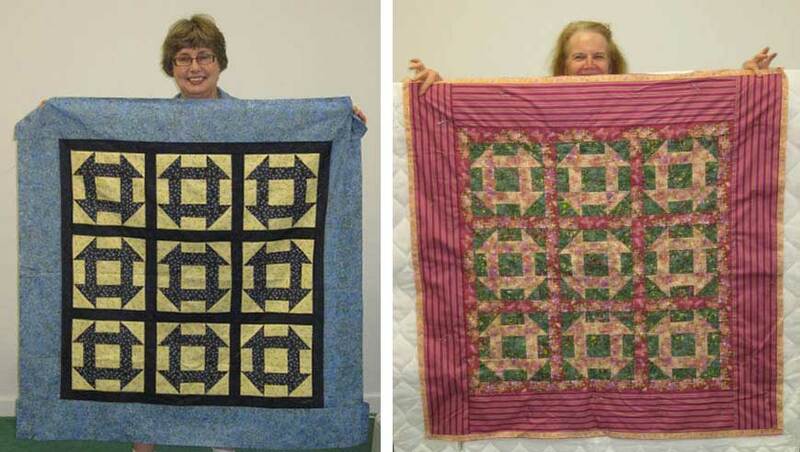 Right: Extra blocks incorporated on the back provides a fun surprise. These fabrics have a fresh, retro feeling. Here is the "Basting Brigade." Everyone pitched in to help each other with the basting of their quilt tops. More hands definitely makes this task go quickly. Way to go, quilters! 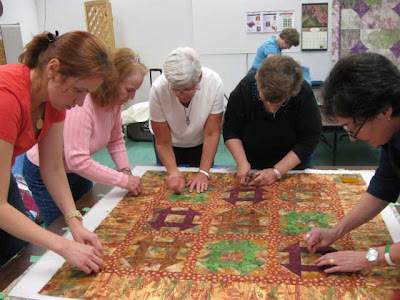 Quilting, binding and the all-important label is next.